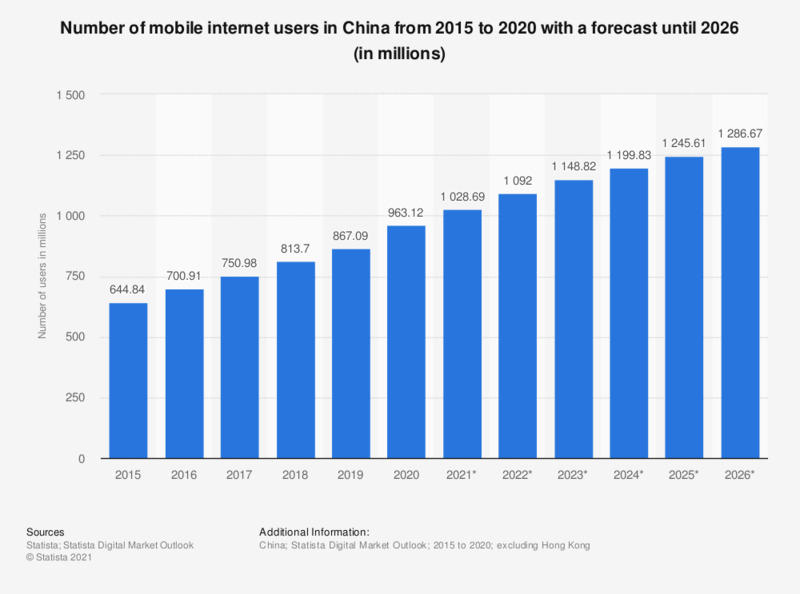 The statistic shows the number of mobile internet users in China in 2017 and 2018, with projections up until 2023. In 2018, over 757 million people in China accessed the internet through their mobile phone. In 2023, this figure was projected to amount to 904 million. Taiwan: If you use a smart phone for personal purposes, what operating system do you use?